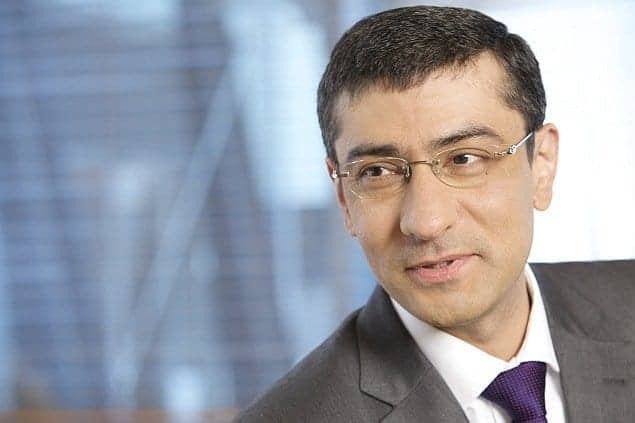 Right after Microsoft’s acquisition of Nokia, the finnish telecom appointed their new CEO, Rajeev Suri. But who is that guy? Suri has been working with Nokia since 1995, and previously headed the Nokia Solutions and Networks division (previously known as Nokia Siemens Networks), since October 1, 2009. Suri – who brought the division (which contributed about half the company’s revenues before the Microsoft deal) to profitability through drastic changes and a rare corporate executive who does not have an MBA degree. He lives in Helsinki, Finland, with his wife Nina who is an entrepreneur, and his two sons Ankit and Anish both study abroad. Born in 1967 in India, Suri was raised in Kuwait for much of his life. After finishing his schooling, Suri went to the Manipal Institute of Technology, as part of the 1989 batch. Microsoft CEO Satya Nadella is also an alumnus of MIT, and according to a recent report in The Hindu, the Pro Chancellor of Manipal University wants to honor both men with doctorates. After completing his Bachelors in Engineering in Electronics and Telecom, Suri worked in ICL (India). He served as Production Engineer at Calcom Electronics right after college, but after that joined the RPG in a management role, working in corporate business development for new ventures and strategic planning. At ICL too, his role was involved with strategic planning. In 1995, Suri joined the Nokia group, where he has been working ever since. In this time, he held multiple roles, including heading a services hub in India, heading Asia Pacific operations from April 2007 till November 2007, and working in roles across business development, marketing, sales in India, Singapore and the UK, so after Nadella, Suri is probably leading the largest mobile device manufacturer and both have been graduated from Manipal. Read out our other posts related to the Microsoft and Nokia deal and all about the recent news and trends in technology, IT and gaming.